Emylin is a human. Her best friend, Damien, is not. He’s the mysterious, handsome King of the Underworld. A social outcast, shunned by her peers, Emmy never felt like she belonged. She’d lose her mind if it wasn’t for Damien. Damien is the ruthless, other-worldly ruler of the Dark Faerie Kingdom. Meeting as children, they have had an unlikely friendship that is kept secret from everyone in both worlds. Fearing an uprising after his father’s untimely death, the newly crowned King Damien must find a Queen quickly before the next Blood Moon. He sets his eyes on Leah, Emmy’s classmate and bully as the ideal candidate. Emmy must now play matchmaker for her life-long best friend in order to save a secret ancient kingdom mankind has never known existed. She also has to juggle Damien’s crazy requests (like setting up his dates), guide Leah in her new life, work, her own college workload and the unraveling of a secret murder plot that will endanger Damien and Emmy herself. No one ever said being friends with the King of the Underworld was easy. 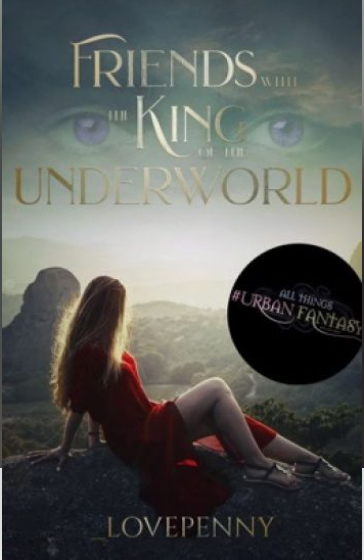 Read “Friends with the King of the Underworld” here.